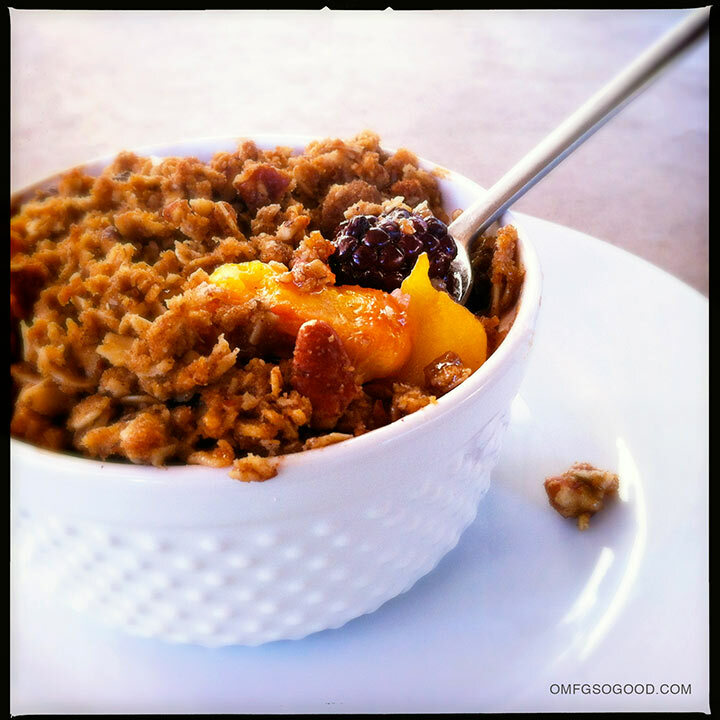 blackberry peach crisp | omfg. so good. I’m gonna eat-choo. That’s my youngest’s favorite saying at the moment. Now whenever some random old lady stalks me in the produce aisle so she can get a pinch on Charley’s cheeks, I run. Fast. Then when we’re in the clear I hand him a fresh peach, and encourage him to chomp away. It’s still cute, hell maybe even cuter, to hear him say “I’m gonna eat-choo” to a juicy peach. And on that note, let’s segue into the goodness that is classic fruit crisp made with perfectly ripened summer blackberries and peaches. Preheat the oven to 350 degrees. Line a sheet pan with parchment paper and arrange four 7 or 8 oz ramekins on the pan. Set aside. 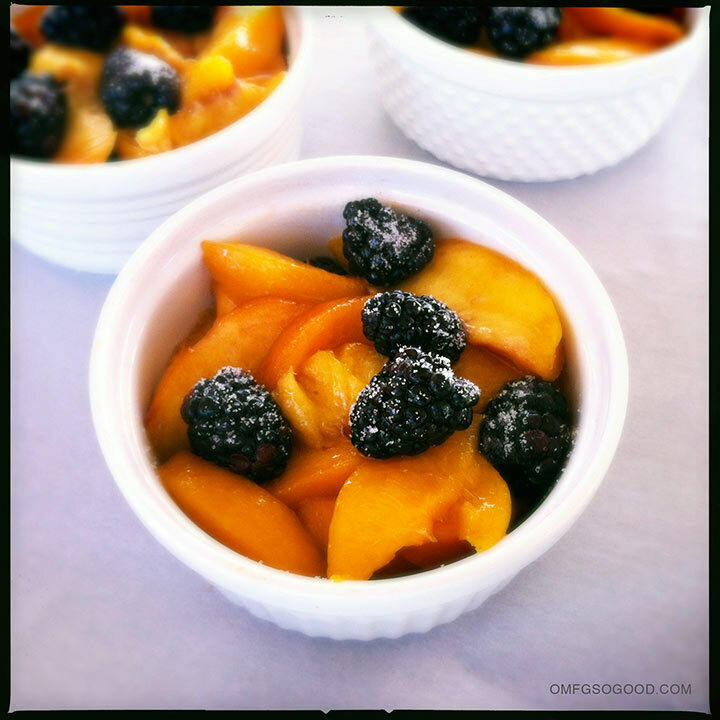 In a large mixing bowl, combine the peaches, blackberries sugar, lemon juice and vanilla and toss to evenly coat the fruit. Divide the fruit evenly among the four ramekins. In another small mixing bowl, combine the brown sugar, flour, oats, pecans, salt, cinnamon and nutmeg, then add the cubed butter and work it in with a fork (or your fingers) until a crumbly texture forms. Sprinkle the crumb topping evenly over the four ramekins to cover the fruit completely, then bake in the preheated oven for 25 – 30 minutes or until the topping is a nice golden brown and the fruit mixture is bubbling. Holy cow. I’m gonna EAT-CHOO!! That is beautiful. I just make a blackberry crisp this evening. Fresh from the garden!